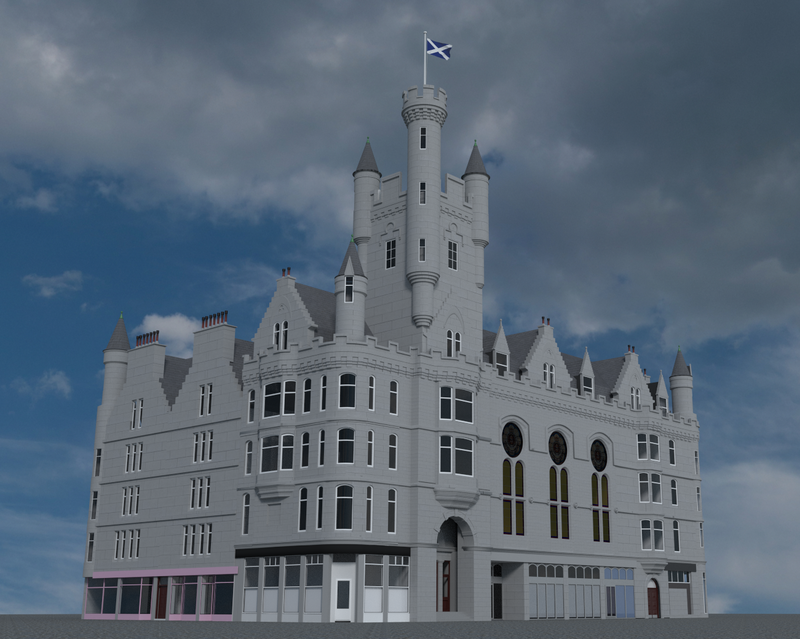 The Salvation Army Citadel, an iconic building on Castlegate, which can be seen the length of Union Steet in Aberdeen. I have been wanting to model this building for a while. Apparently, the building it'self is based on the design for Balmoral Castle. It certainly makes an impression. 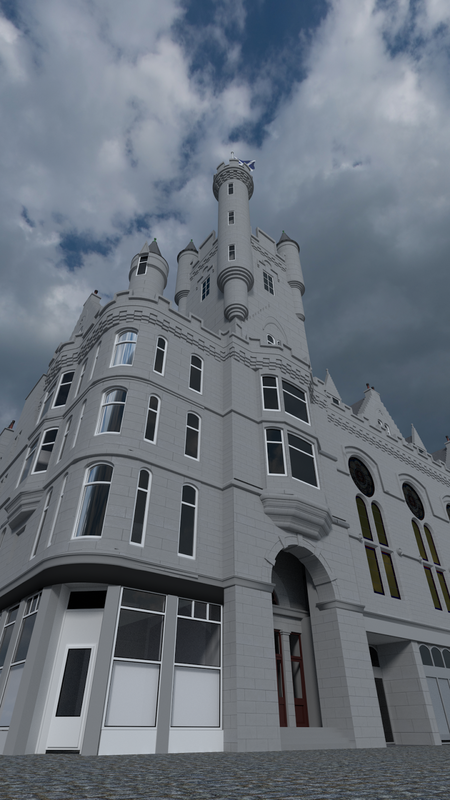 There are a lot of iconic buildings in Aberdeen, what to choose for the next project? A wireframe of the model.